With the February half-term just around the corner, ABTA have reported that British skiers and snowboarders are more likely to wear a helmet on the slopes than ever before. 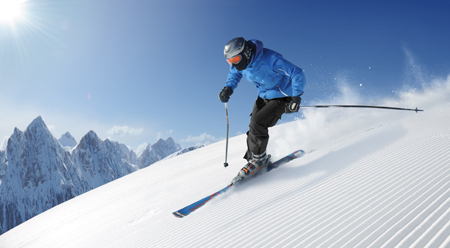 The February half-term is usually one of the busiest ski weeks in European resorts and with approximately one million Brits going skiing this season, ABTA Members are seeing increased interest from people in safety equipment, both to hire and to purchase. This is particularly the case for ski helmets, with experienced skiers and snowboarders more likely than ever to purchase their own. America’s National Ski Areas Association reported last year that 70% of all skiers and snowboarders wore a helmet and similar numbers have been reported in Europe with up to 76% of skiers now wearing a helmet in Switzerland. This season the high profile story of Michael Schumacher’s accident on the slopes has resulted in heightened interest in ski safety and ABTA expects that the trend will overtake last season’s peak. ABTA Members are reporting that the increase in numbers wearing a helmet is due to younger people, who are also the group most likely to take ski holidays, with over 1 in 10 (11%) of 16-24s taking a winter sports break this season. This suggests that people who grow up wearing a helmet will continue to do so, especially in countries such as Austria and Italy where it is a legal requirement for children. Whilst younger people may be leading the trend towards helmet wearing, ABTA research shows that they are still the least likely to take out sufficient winter sports insurance with nearly half (47%) of under 35's now going without purchasing specific winter sports insurance, compared to over a third (36%) of Brits overall. ABTA Head of Communications, Victoria Bacon said: “Having the right equipment is an essential part of any winter sports holiday and ABTA urges all skiers and snowboarders to wear a helmet. We want people to be able to make the most of their time on the slopes and knowing you have the right kind of equipment is one less thing to worry about. It is still alarming to see the numbers travelling without adequate insurance however. Along with arranging the right safety equipment, purchasing the right level of travel insurance, and checking that annual policies are extended to cover action sports like skiing should be a top priority."